A French nursery introduced 'Mara des Bois’ back in 1991, and it has become wildly popular in markets in that country, where the berries bring a premium price. This distant relative of the woodland Strawberry produces aromatic fruits about the size of acorns with a rich, sweet flavor and tender flesh. They are too perishable to ship, but fortunately for us a grower on the West Coast began serious production several years ago, making plants available here. In full sun, hybrid 'Mara' bears heavily throughout the season and throws vigorous runners that make it especially productive for home gardens and containers. We grow our plants in a 6-pocket, 9" wide x 14" tall terra-cotta Strawberry jar. Kit includes the Strawberry jar planter, plus 12 bareroot plants and potting soil, shipped at the right time for planting in your area. For more information on the growing and care of Strawberries, click Growing Guide. Basic care for each type is quite similar, but some requirements vary, and we've noted them below. Dormant plants are not harmed by spring frosts; the sooner you plant them, the sooner they will settle in and thrive. We recommend planting our bareroot Strawberries right away. If you can't plant right away, bareroot plants can remain in their original packing for 5–7 days. Keep them in a cool (but not freezing) place out of direct sun. Stand them upright so that new shoots will grow straight up rather than at odd angles. Check the plants for moisture every day. If the packing material around the roots feels dry, add water and pour off the excess. Do not remove the packing material until the moment you're ready to plant. Light: Plant Fraises des bois and Mara des bois in full sun or partial shade. 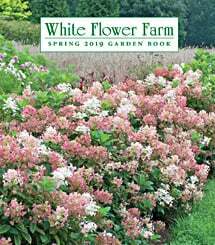 Plant other hybrid varieties ('Allstar,' 'Earliglow,' 'Sparkle,' 'Tristar,' Berries Galore® series) in full sun (provide afternoon shade in hot summer areas). Soil: Avoid planting Strawberries where Potatoes, Tomatoes, Eggplants, or Peppers have been grown before. Soils in which these plants have grown may harbor the wilt-causing Verticillium fungus, which can affect your plants. Strawberries thrive in well-drained soil that is rich in organic matter. Amending your soil with aged manure or about 4″ of compost will supply all the nutrients young plants need to get started. Work the added organic matter into the top 8–12″ of the soil and then water thoroughly. A soil pH of 6.0–6.5 is best. Well-drained soil is essential, so mound the soil to form raised beds, if necessary. Spacing in a garden: Plant Fraises des bois 1′ apart. Space other varieties 1–2′ apart, with 3–4′ between rows. Planting in a garden: Dig a wide, shallow hole large enough to accommodate the roots comfortably. Then spread the roots evenly inside the hole and cover them with soil, setting the crown (the point where stem and roots meet) at soil level. Firm the soil with your hands and water thoroughly. Placing the crown precisely at soil level—rather than deeper or higher—is very important. It keeps the crown from rotting or from drying out. Mara des bois produces runners (side stems with daughter plants attached). This type of Strawberry is often grown in a matted row system, which takes advantage of the runners to increase the number of plants and thus increase the yield of fruit. To create a matted row system, plant your Mara des bois 12–24″ apart in rows that are 48″ apart. Allow the runners to fill out each row to a width of about 12–15″. Keep the plants no less than 6″ apart or they will compete with each other. Runners can be cut off to prevent the plants in the rows from becoming too crowded and less productive. Use a hoe or rototiller to keep the area beyond the width of each row free of plants. The daughter plants at the end of runners can be used to rejuvenate your rows. Over time, Strawberry plants tend to decline as they acquire fungal diseases or diseases spread by insects. Purchase new plants and move your next Strawberry patch to another area of the garden. Planting Strawberries in a Hanging Basket: Place a good-quality potting mix in a plastic tub and slowly add water and stir until the mix is moist but not soggy. Then fill the basket's liner with mix to about ½″ away below the rim of the basket. Make 3 evenly spaced holes in the mix and place each plant's crown (the point where stem and roots meet) level with the soil mix in its hole. Firm the plants in place. Add more soil mix if needed, stopping ½″ below the top of the container. Finally, water thoroughly. Place the basket in the shade for a few days to allow the plants to settle in. Then gradually move the basket to its permanent location. Water when the top 1″ of soil mix is dry to the touch. Fertilize with a balanced, water-soluble fertilizer every 2–3 weeks until the end of August. In cold-winter climates, move the basket inside in fall and keep at 30–45°F. Check plants for moisture each week and water just enough to keep plants from drying out completely. Set the basket back outside the following spring. Planting in a Strawberry jar: Allow 1 cu ft of soil per plant in containers, less in Strawberry jars. Plants grown in containers should be protected from hot sun in the summer and from freezing in the winter. Place the soil mix in a plastic tub and slowly add water and stir until the mix is moist but not soggy. Then fill the pot with mix to the rims of the first 3 pockets. Push one plant through each pocket, pulling gently on the roots from the inside until the crown (the point where stem and roots meet) is level with the soil mix in the pocket. Firm the plants in place and add soil mix up to the rims of the second set of 3 pockets. Plant those pockets as you did the first set. Then add more soil mix, stopping 1–2″ below the top of the container. Put no more than 3 plants in the top. Finally, water thoroughly, starting from the top and proceeding to each of the pockets. Place the jar in the shade for a few days to allow the plants to settle in. Then gradually move the jar to its permanent location. Water when the soil mix is dry to the touch. Fertilize with a balanced, water-soluble fertilizer every 2–3 weeks until the end of August. In cold-winter climates, move the jar inside in fall and keep at 30–45°F. Check plants for moisture each week and water just enough to keep plants from drying out completely. Set the jar back outside the following spring. Watering: Strawberries require 1–2″ of water a week. If rain is inadequate, water deeply whenever the top 1″ of soil is dry to the touch. To prevent disease, avoid watering in the evening. Heat and drought bring flowering and fruiting to a halt and may kill plants outright. Mulching with 2″ of an organic material (such as straw) helps the soil retain moisture and stay cool, prevents weed seed germination, and keeps the fruits off the soil. Fertilizing: Don't fertilize at planting time. Later, when Mara des bois and Fraises des bois begin to form berries, fertilize with a balanced, timed-release fertilizer. In subsequent years, fertilize in early spring, and once again in late June. Fertilize the June-bearing varieties ('Allstar,' 'Earliglow,' 'Sparkle') in early spring and again when renovating (see below). Fertilize everbearing 'Tristar' and the Berries Galore® series monthly during the growing season. Harvesting: Fruits taste better when runners are pinched back before they begin to develop daughter plants. Check Mara des bois frequently for ripe berries and collect them in a bowl or basket as you pick them. Keeping ripe fruit picked will encourage production throughout the summer season. Clean the fragile berries by floating them in ice water and gently rolling them around. Dirt will sink to the bottom of the bowl. Winter protection: Strawberries overwinter well in mild-climate areas, but where winters are cold and snowy, they need protection from frost heaving. After the ground has frozen, apply 4–6″ of a light insulating material such as straw, salt marsh hay, oak leaves, or pine needles around the plants (but place it only lightly on top of the plants, to avoid crown rot). Remove the cover gradually in spring, starting about the time Daffodils bloom. Continuing care: Divide Fraises des bois plants every 3 years or so, as needed, just as growth begins to show in the spring. Dig and cut the crowns into 2–4 pieces, making sure that each piece has a good root system. Replant right away. You'll find everbearing 'Tristar' and the Berries Galore® series will begin flowering soon after planting. Remove the flowers for 6 weeks to allow plants to become established before fruiting. Allow the flowers to develop fruit during the rest of the season. Pinch off all daughter plants. For June-bearing varieties ('Allstar,' 'Earliglow,' 'Sparkle'), remove all flower buds the first year as they appear, preventing the plants from fruiting. This will result in more vigorous plants in the years to come. Allow the plants to send out runners freely. Beginning the second year, these varieties benefit from a process called renovation. As soon as the harvest is complete, cut foliage off just above the crown, then till or hoe both sides of each row a week or so later to reduce row width to about 1′. Remove excess plants to achieve a spacing of 3–5″ between plants, and apply a balanced, timed-release fertilizer.